Fee is a little live wire. She lives with Steve and Bernadette Ward (and their newfie Jake) where she is proving herself to be a super water worker. She has already passed her Section A Water test, her Section B Water test (FOUR TIMES!) and Level 1 Draught. She will have to wait a few months until she is a little older before she can progress on to higher levels. Fee - a bit wet but she has been doing what she loves ... swimming! 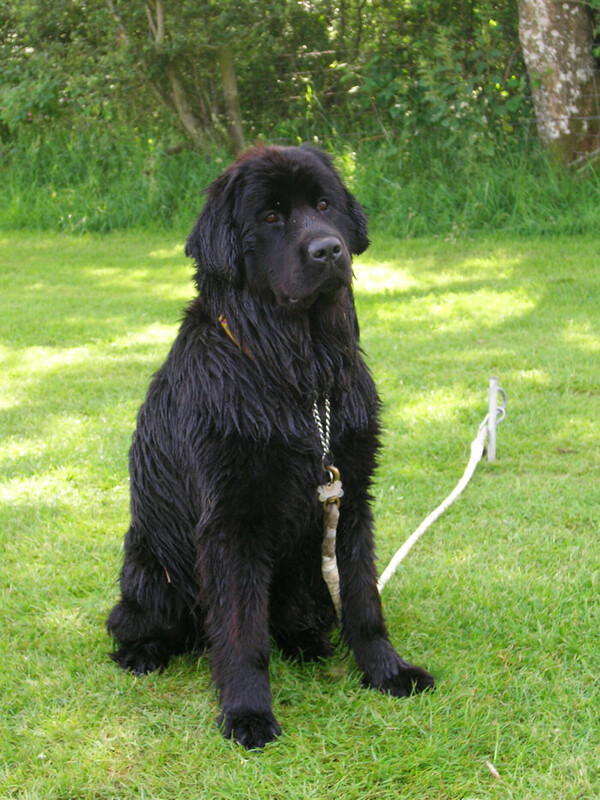 All text and images are copyright - © 2008-2013 Sandbears Newfoundlands There are currently 3 visitors online right now!